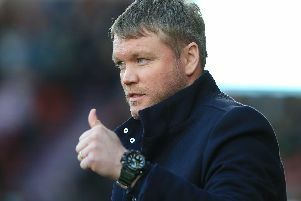 Doncaster Rovers: What has Darren Ferguson said to other players whose contracts are about to expire? The players at Doncaster Rovers approaching the end of their existing contracts ‘may have to bide their time’ before further discussions on their futures take place. That is what boss Darren Ferguson told The Star this week when he was asked about players in the final few months of their deals. Club captain Andy Butler has already penned a one-year extension and Rovers today announced their intention to activate clauses in the contracts of defender Joe Wright and third choice goalkeeper Louis Jones to extend their deals by one year. Ferguson has half an eye on the longer term but, ahead of a board meeting to discuss contracts, says the club must prioritise securing their League One status for another season. James Coppinger, Mathieu Baudry, Craig Alcock, Andy Williams and Cedric Evina’s deals expire in the summer. Asked if further contract extentions would be announced at the end of the season, Ferguson said: “Possibly it won’t be as long as that but we cannot take our eye off the ball in terms of what we need to do this season. “We’re not safe yet. We’re not guaranteed anything but obviously we’re very hopeful. “The plans for the meeting wouldn’t have been taking place until around about the end of this month any way. “We’ve got some good players out of contract: James Coppinger, Mathieu Baudry, Craig Alcock. “I’ve spoken to them and they understand the situation. “And the good thing is they understand the most important thing is focusing on the team. “They may just have to bide their time. On Wright and Jones, Ferguson said: “We’ve got to have one eye on the long term as well as the short term. Those two are very much part of that.